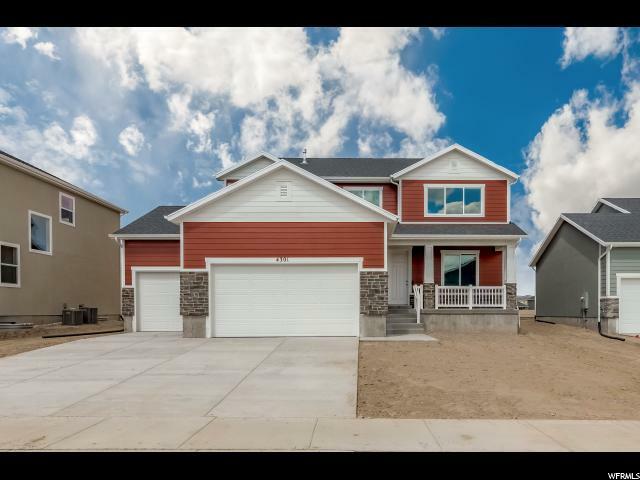 All EVANS RANCH homes currently listed for sale in Eagle Mountain as of 04/18/2019 are shown below. You can change the search criteria at any time by pressing the 'Change Search' button below. "Evans Ranch - H1-7 - Tahoe. READY FOR MOVE-IN! This beautiful Tahoe home design features 4 bedrooms, 2.5 bathrooms. 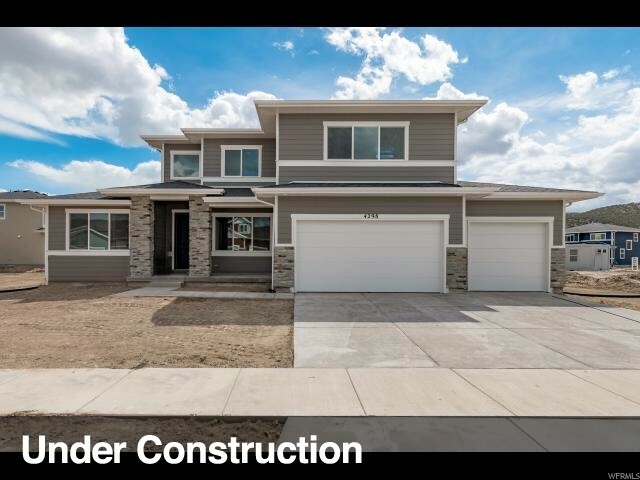 The main floor includes a formal living room, open-concept great room, stainless steel appliances including the refrigerator, quartz countertops, and upgraded craftsman style cabinets. The second floor offers four bedrooms, full bathroom with quartz countertops, and grand master suite with double vanity, large garden tub, and walk-in closet. This home includes smart features such as: Echo Dot, Kwikset Kevo Smart Lock, Honeywell Lyric Wifi Thermostat, Ring Video Doorbell Elite, and LiftMaster Garage Door Opener with MyQ Technology. Evans Ranch is a beautifully designed, master-planned community featuring meandering streets and walkways that connect nearly 23 acres of parks and trails throughout the neighborhood. Call today to learn more about this home." "Evans Ranch - H1-8 - Shasta. READY FOR MOVE-IN! 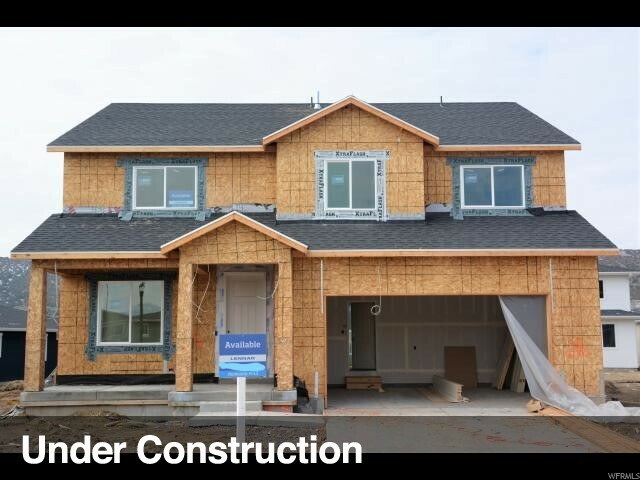 This beautiful Shasta home design features 4 bedrooms, 2.5 bathrooms, and an open loft area. The main floor includes a formal living room, open-concept great room, stainless steel appliances including the refrigerator, quartz countertops, and upgraded craftsman style cabinets. The second floor offers four bedrooms, full bathroom with quartz countertops, loft area, and grand master suite with double vanity, large garden tub, and walk-in closet. This home includes smart features such as: Echo Dot, Kwikset Kevo Smart Lock, Honeywell Lyric Wifi Thermostat, Ring Video Doorbell Elite, and LiftMaster Garage Door Opener with MyQ Technology. Evans Ranch is a beautifully designed, master-planned community featuring meandering streets and walkways that connect nearly 23 acres of parks and trails throughout the neighborhood. Call today to view this home!" "Evans Ranch - H1-02 - Snowmass. ESTIMATED COMPLETION IN MID JUNE. This beautiful Snowmass home design features 4 bedrooms, 2.5 bathrooms, and a multipurpose loft space. The main floor includes a formal living room, open-concept great room, and chef's kitchen with stainless steel appliances including the fridge, quartz countertops, and upgraded craftsman style cabinets. The second floor offers four bedrooms, full bathroom with quartz countertops, and grand master suite with double vanity, large garden tub, and walk-in closet. This home includes smart features such as: Echo Dot, Kwikset Kevo Smart Lock, Honeywell Lyric Wifi Thermostat, Ring Video Doorbell Elite, and LiftMaster Garage Door Opener with MyQ Technology. Other Lennar Everything's Included home designs, elevations and color combinations are available! Evans Ranch is a beautifully designed, master-planned community featuring meandering streets and walkways that connect nearly 23 acres of parks and trails throughout the neighborhood. Call today to learn more about this home." "Evans Ranch - H1-12 - Tahoe. ESTIMATED COMPLETION DATE: MAY 2019. This beautiful Tahoe home design features 4 bedrooms, 2.5 bathrooms. The main floor includes a formal living room, open-concept great room, stainless steel appliances including the refrigerator, grey quartz countertops, and upgraded white craftsman style cabinets. The second floor offers four bedrooms, full bathroom with quartz countertops, and grand master suite with double vanity, large garden tub, and walk-in closet. This home includes smart features such as: Echo Dot, Smart Lock, Honeywell Wifi Thermostat, Ring Video Doorbell, and LiftMaster Garage Door Opener with MyQ Technology. Evans Ranch is a beautifully designed, master-planned community featuring meandering streets and walkways that connect nearly 23 acres of parks and trails throughout the neighborhood. This home also features Smart Home technology, which allows homeowners to control their home from their phone. See who is on your front porch, unlock your door, and adjust the thermostat all with the touch of a button. Rendering is for illustrative purposes only. Actual features and elevations may vary. Call today to learn more about this home." "Evans Ranch - H1-13 - Shasta. ESTIMATED COMPLETION DATE: MAY 2019. This beautiful Shasta home design features a craftsman exterior elevation, 5 bedrooms, and 2.5 bathrooms. The main floor includes a formal living room, open-concept great room, and chef's kitchen with stainless steel appliances including the fridge, grey quartz countertops, and upgraded white craftsman style cabinets. The second floor offers four bedrooms, full bathroom with quartz countertops, and grand master suite with double vanity, large garden tub, and walk-in closet. This home includes smart features such as: Echo Dot, Kwikset Kevo Smart Lock, Honeywell Lyric Wifi Thermostat, Ring Video Doorbell Elite, and LiftMaster Garage Door Opener with MyQ Technology. Evans Ranch is a beautifully designed, master-planned community featuring meandering streets and walkways that connect nearly 23 acres of parks and trails throughout the neighborhood. This home also features Smart Home technology, which allows homeowners to control their home from their phone. See who is on your front porch, unlock your door, and adjust the thermostat all with the touch of a button. Rendering is for illustrative purposes only. Actual features and elevations may vary. Call today to learn more about this home." "Located on the boarder of Saratoga Springs. READY 4 IMMEDIATE MOVE-IN. 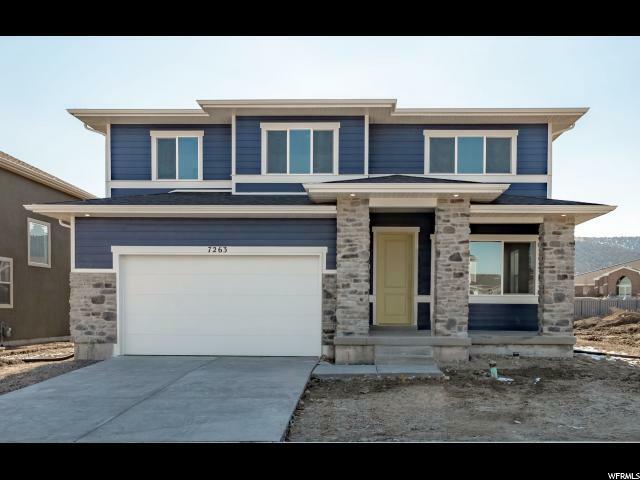 NEW 5 bed 2.5 bath home LOADED with UPGRADES tucked in to a quiet neighborhood. Full Fence & Landscaped w/ sprinklers. Walking distance to pool, parks & Elem. school. Office/formal living room on main. Close to grocery, restaurants, schools, & major roads. SELLER FINANCE AVAILABLE!!" "Evans Ranch - H1-25 - Snowmass. READY FOR MOVE-IN! This beautiful Snowmass home design features 4 bedrooms, 2.5 bathrooms, and a multipurpose loft space. The main floor includes a formal living room, open-concept great room, and chef's kitchen with stainless steel appliances including the fridge, quartz countertops, and upgraded craftsman style cabinets. The second floor offers four bedrooms, full bathroom with quartz countertops, and grand master suite with double vanity, large garden tub, and walk-in closet. This home includes smart features such as: Echo Dot, Kwikset Kevo Smart Lock, Honeywell Lyric Wifi Thermostat, Ring Video Doorbell Elite, and LiftMaster Garage Door Opener with MyQ Technology. Other Lennar everything's included home designs, elevations and color combinations are available! Evans Ranch is a beautifully designed, master-planned community featuring meandering streets and walkways that connect nearly 23 acres of parks and trails throughout the neighborhood. Call today to learn more about this home." "Evans Ranch - H1-01 - Pomerelle. ESTIMATED COMPLETION DATE: JUNE 2019. This rambler-style Pomerelle home design features 3 bedrooms, 2 bathrooms, and an open-concept layout. The main floor includes a spacious great room, kitchen with stainless steel appliances including the refrigerator, white quartz countertops, espresso craftsman-style cabinets, and grand master suite with double vanity, large garden tub, and walk-in closet. This home includes smart features such as: Echo Dot, Schlage Encode Smart WiFi Deadbolt, Honeywell Lyric Wifi Thermostat, Ring Video Doorbell Elite, and LiftMaster Garage Door Opener with MyQ Technology. Evans Ranch is a beautifully designed, master-planned community featuring meandering streets and walkways that connect nearly 23 acres of parks and trails throughout the neighborhood. Rendering is for illustrative purposes only. Actual features and elevations may vary. Call today to learn more about this home." "Evans Ranch - H1-17 - Pomerelle. ESTIMATED COMPLETION DATE: JULY 2019. This beautiful rambler-style home design features 3 bedrooms and 2 bathrooms. The main floor includes an open-concept great room, stainless steel appliances including refrigerator, white quartz countertops, upgraded espresso craftsman-style cabinets, and grand master suite with double vanity, large garden tub, and walk-in closet. 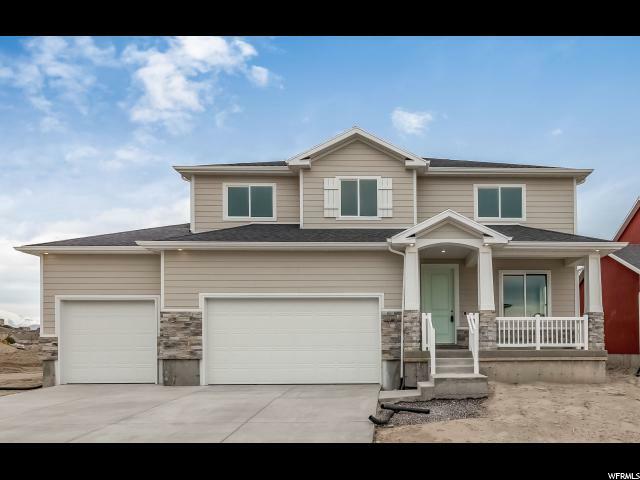 This home includes smart features such as: Echo Dot, Smart Lock, Honeywell Wifi Thermostat, Ring Video Doorbell, and LiftMaster Garage Door Opener with MyQ Technology. Evans Ranch is a beautifully designed, master-planned community featuring meandering streets and walkways that connect nearly 23 acres of parks and trails throughout the neighborhood. Rendering is for illustrative purposes only. Actual features and elevations may vary. Call today to learn more about this home."